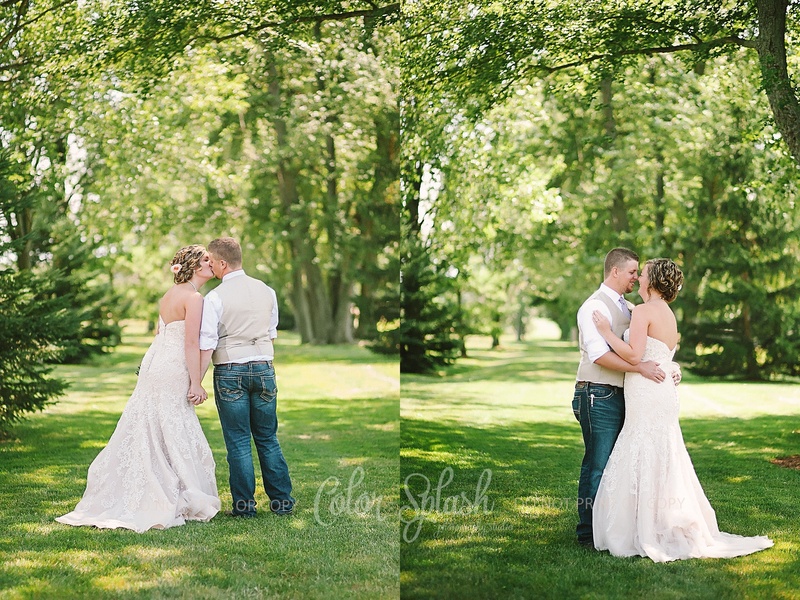 Breanna and Tyler couldn’t have asked for a nicer day for their wedding. 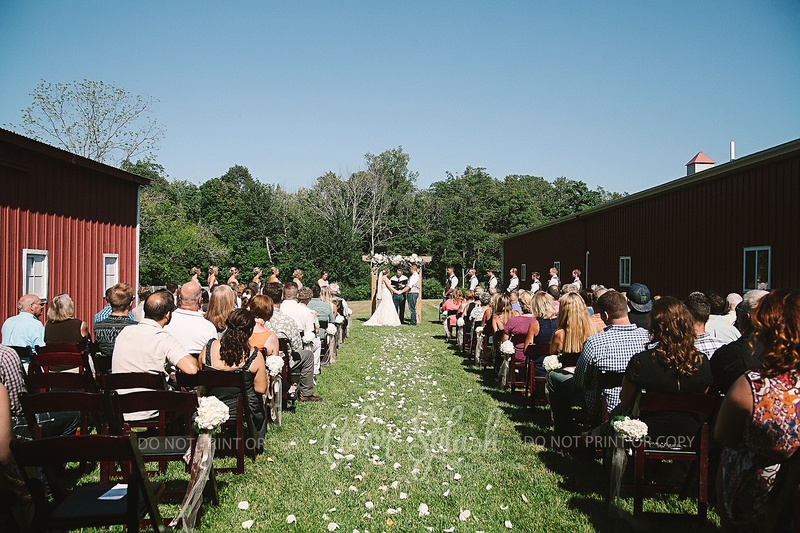 Blue skies and sunshine all around. 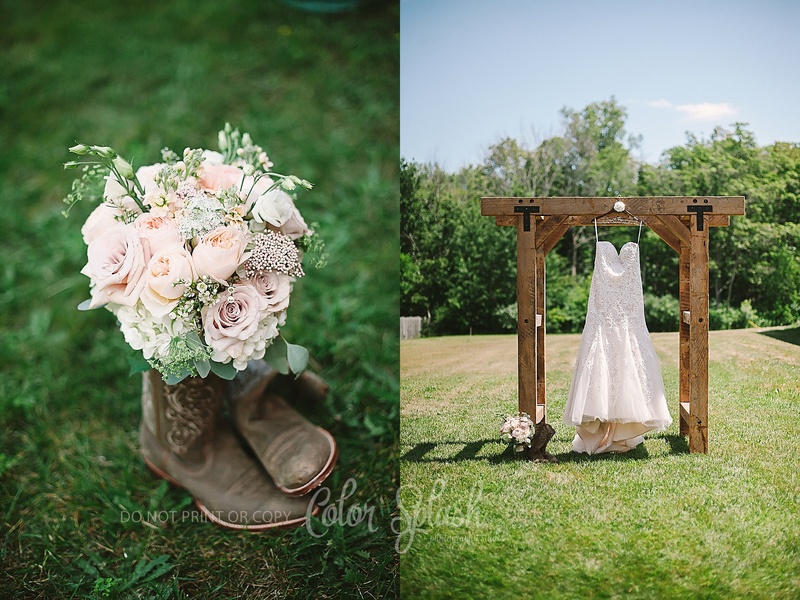 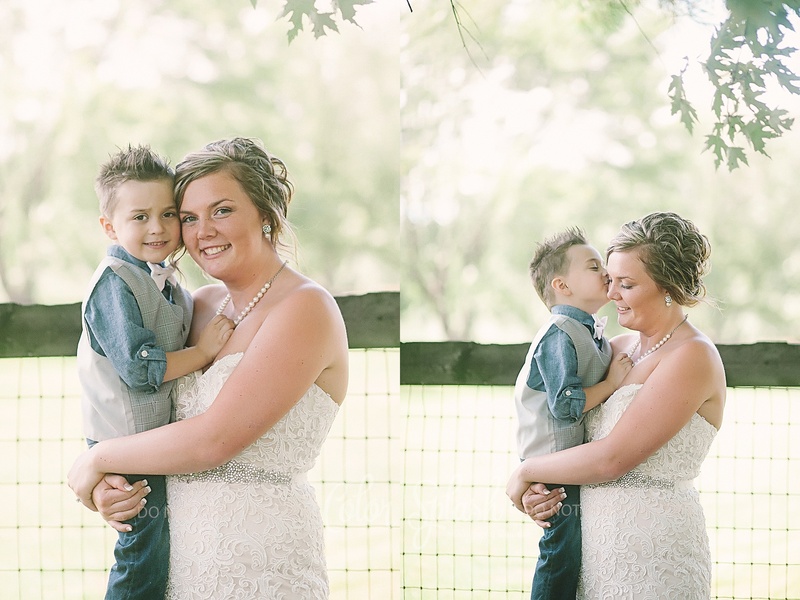 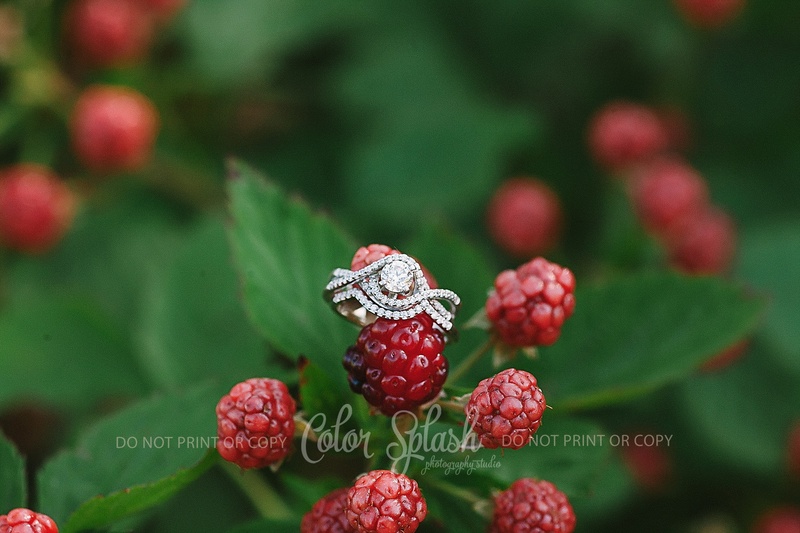 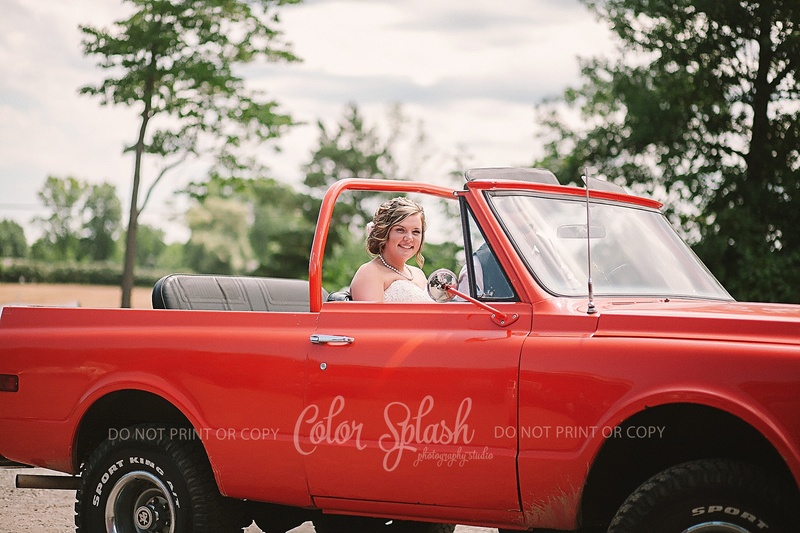 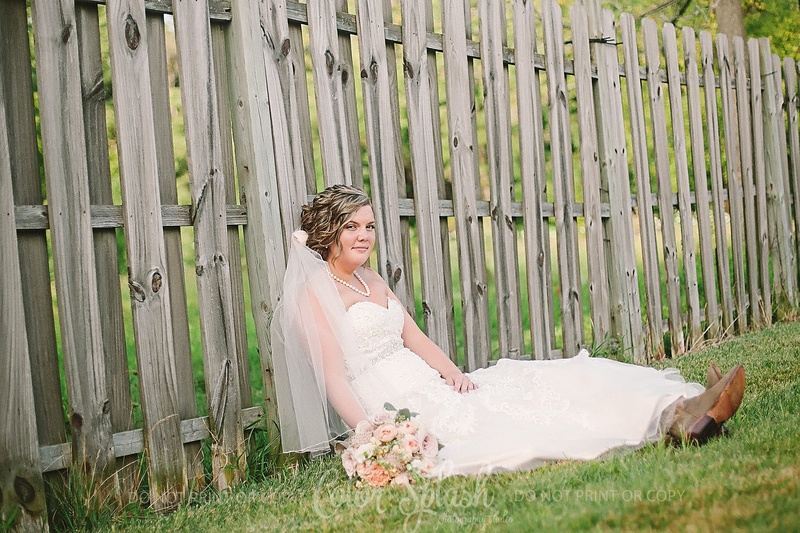 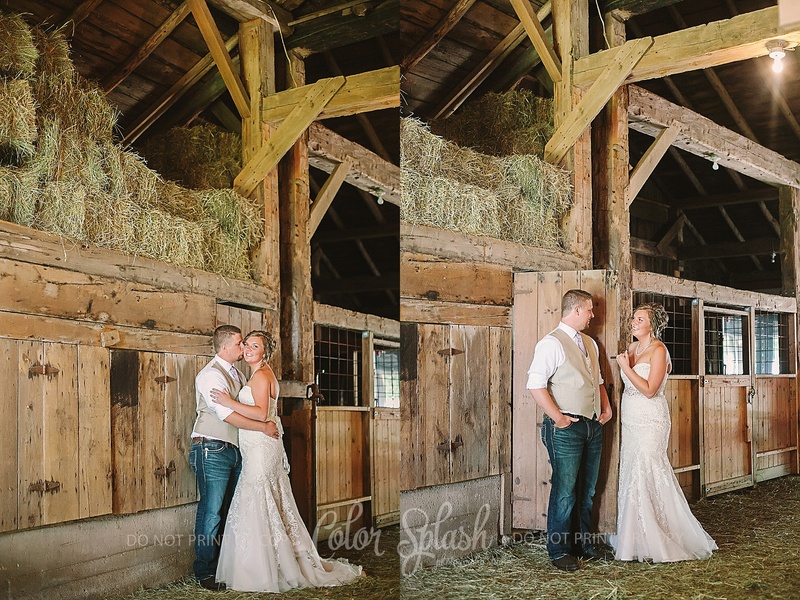 I met up with Breanna at the Red Barn Event center while the girls were all getting ready before we headed out to capture her and Tyler’s first look. 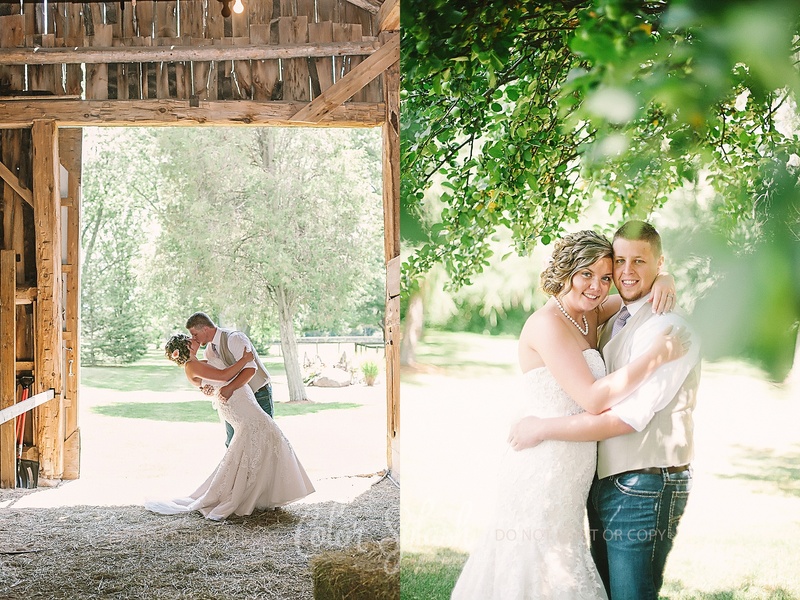 The couple has some friends who own a beautiful spot down the road so we all headed there for photos. 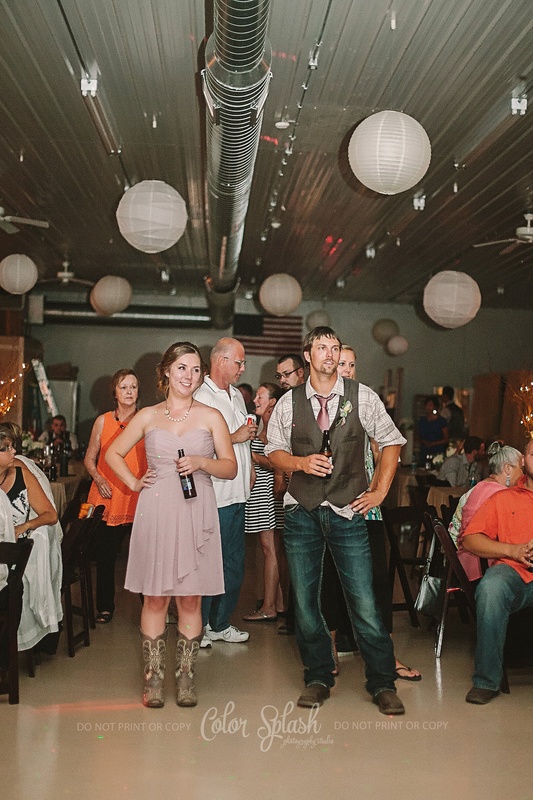 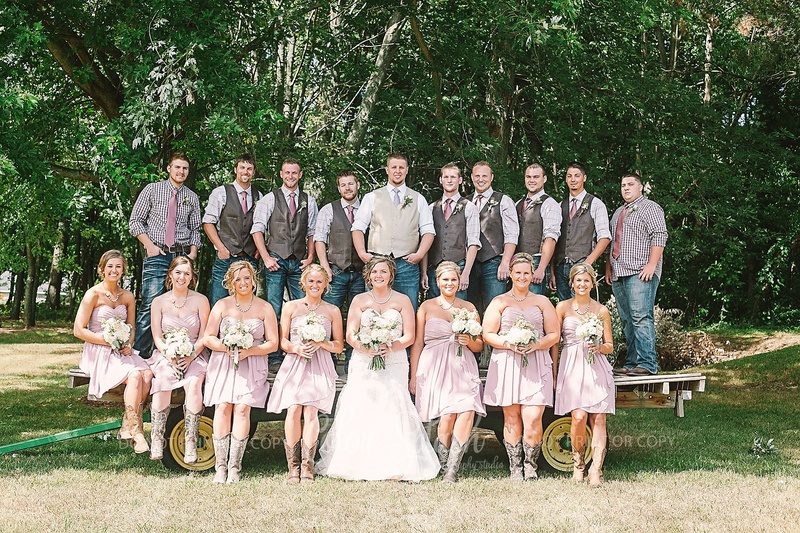 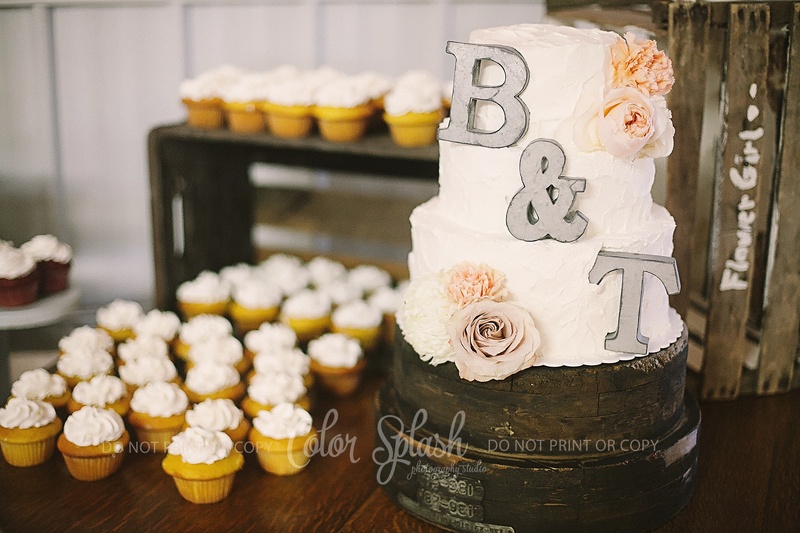 Breanna’s wedding party couldn’t have been sweeter or more nice. 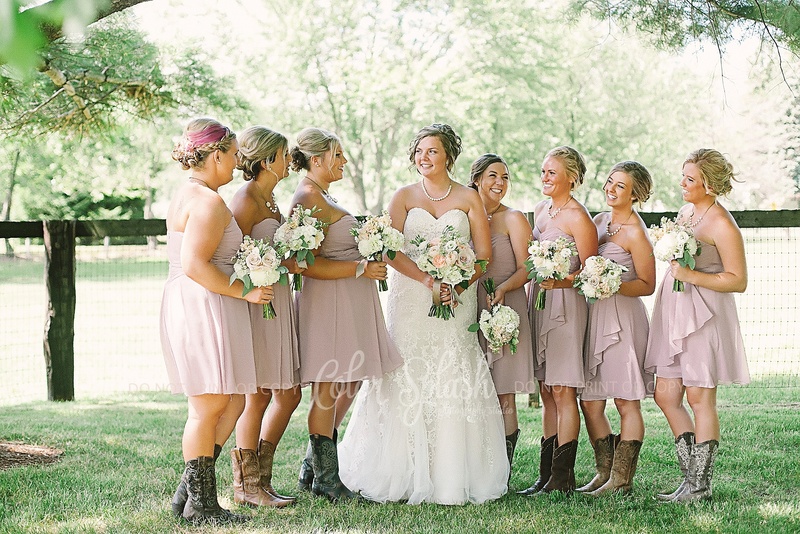 Every one of her bridesmaids looked stunning. 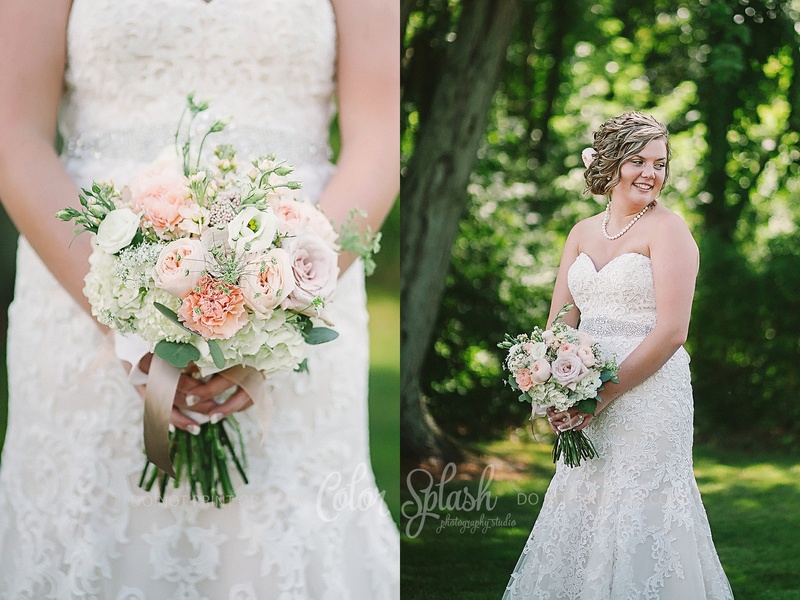 Breanna’s mother created all the floral arrangements and bouquets. 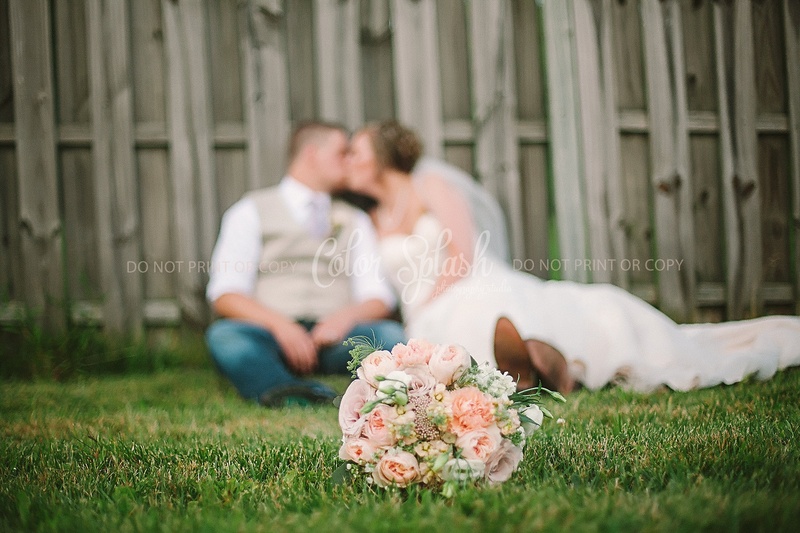 They were simply stunning to say the least. 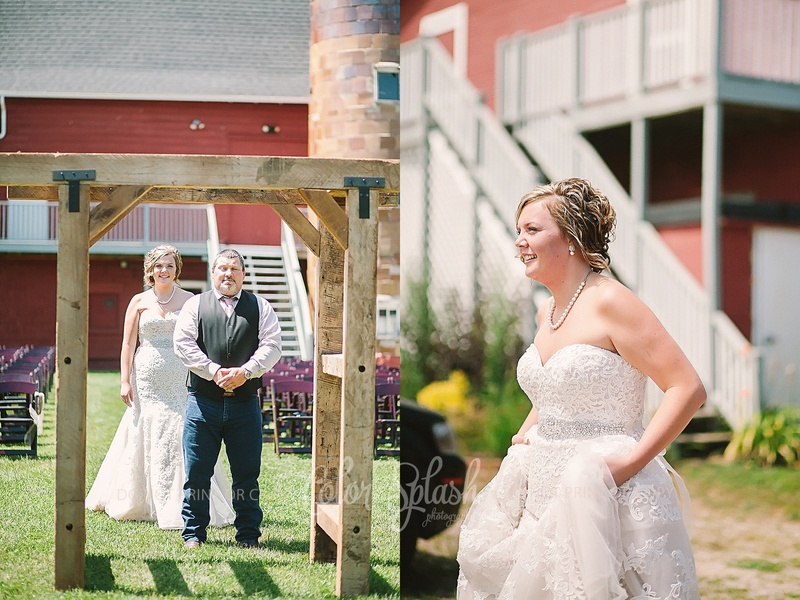 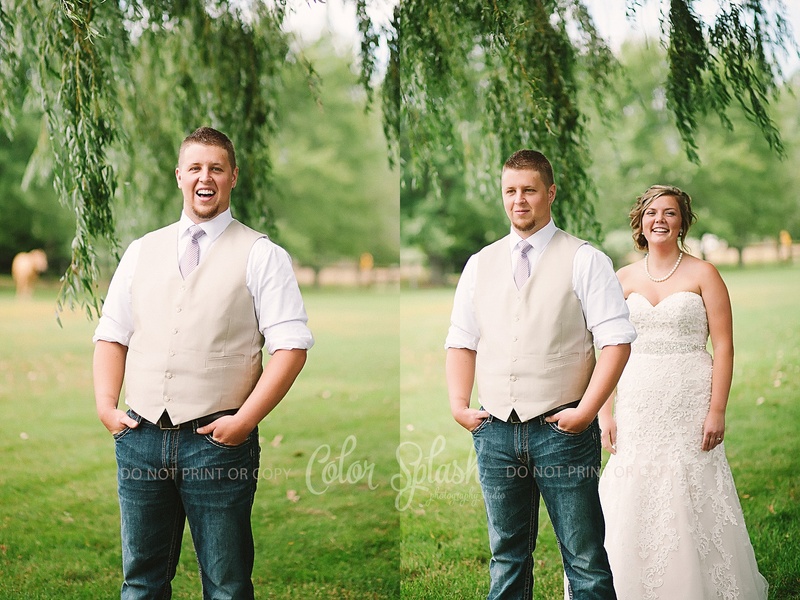 Tyler and Breanna were greeted by a horse as they did their first look. 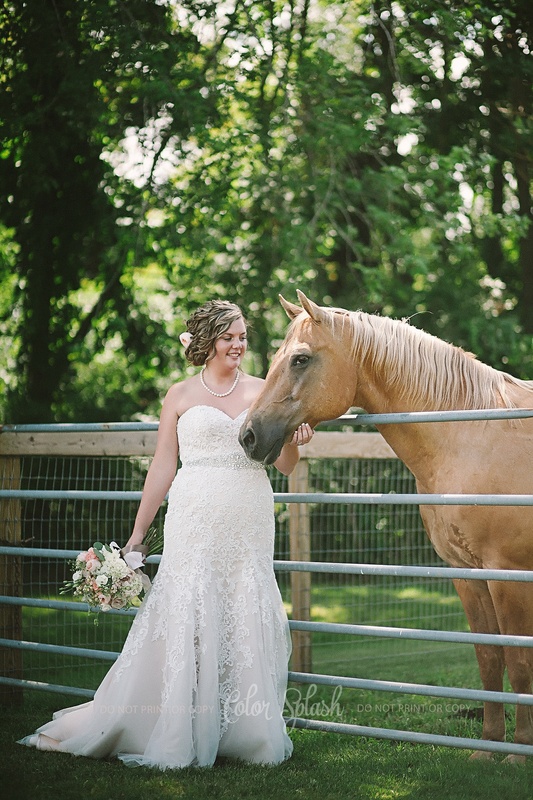 The horse wasn’t so sure how he felt about them being on his turf!! 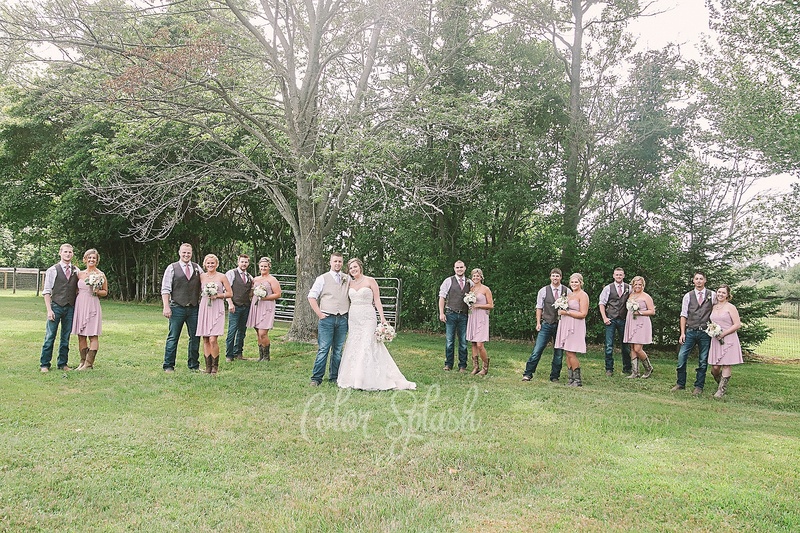 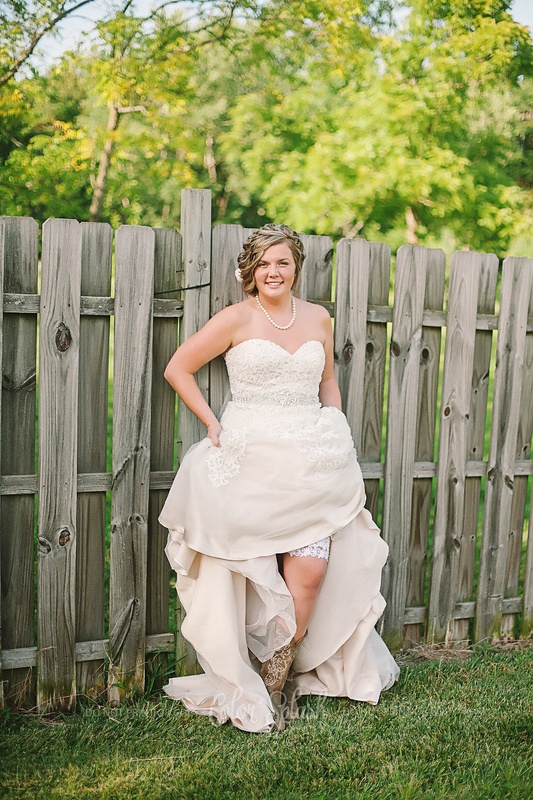 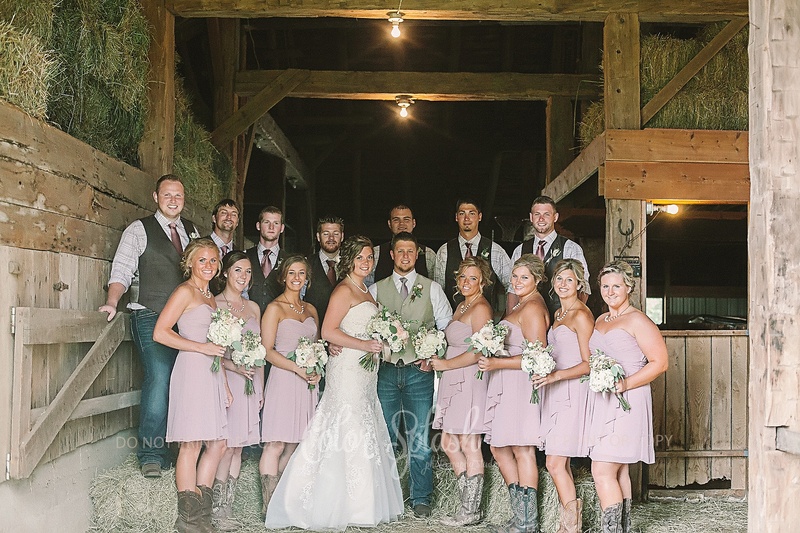 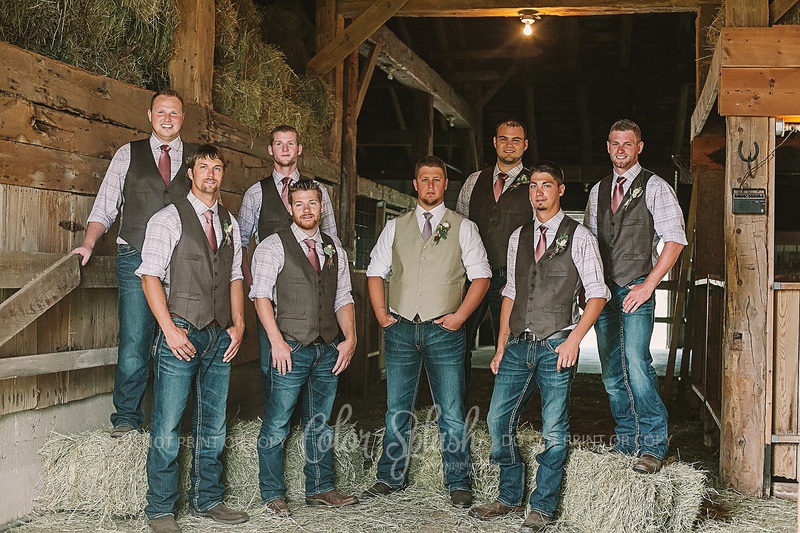 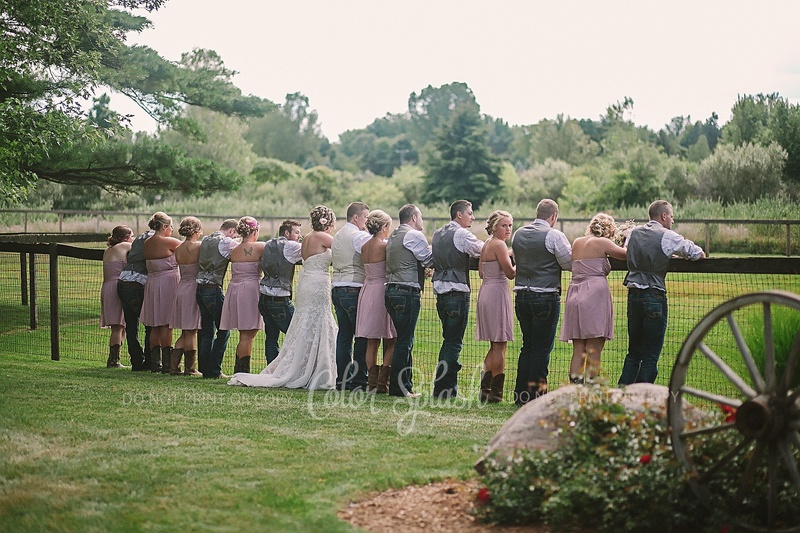 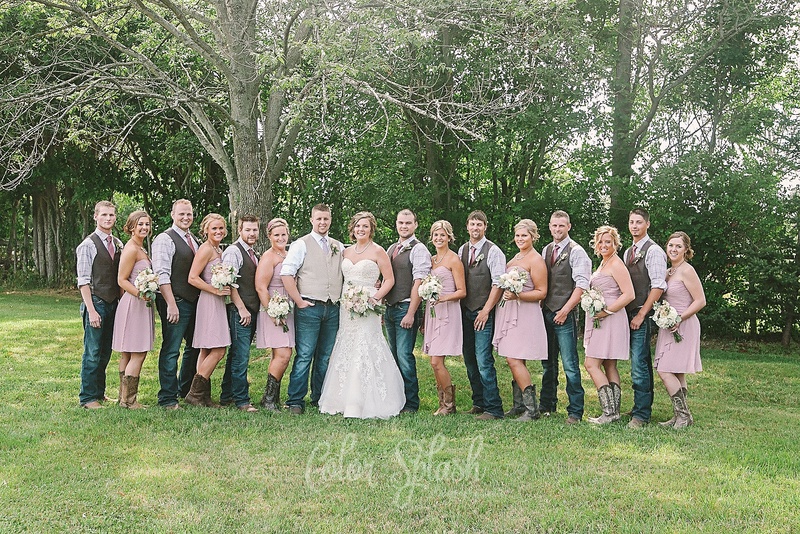 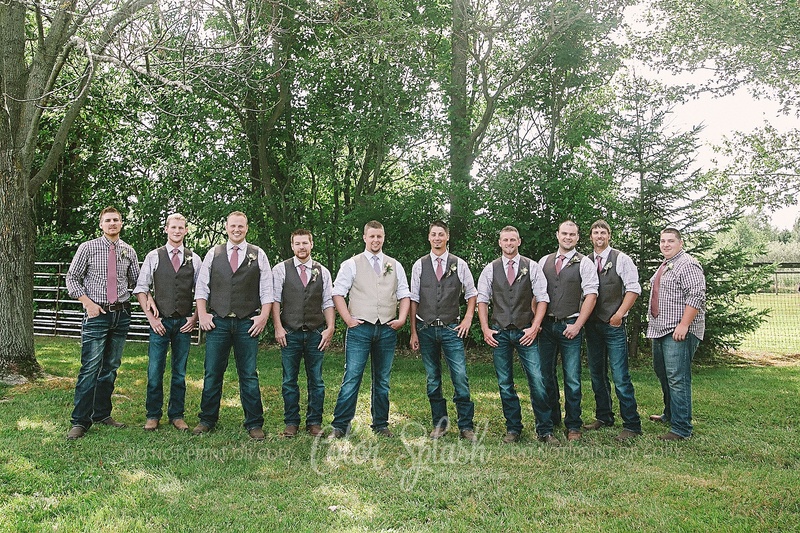 Following their first look we captured all the bridal party and some family photos. 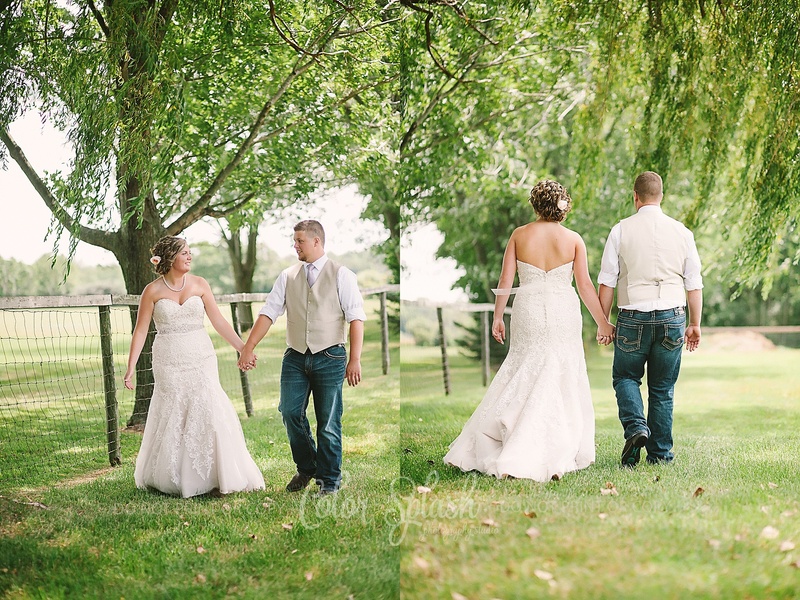 We had such a great time walking the grounds. 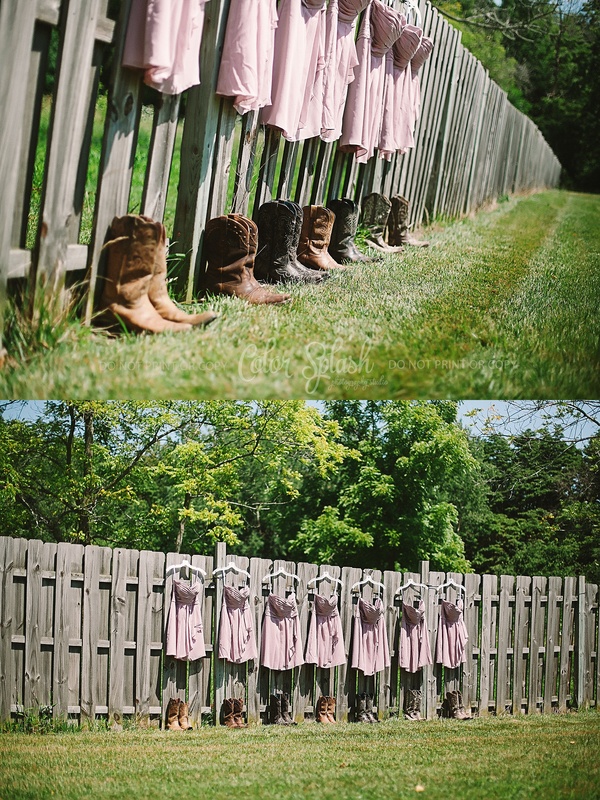 Following our photo time together we got ready for the big ceremony! 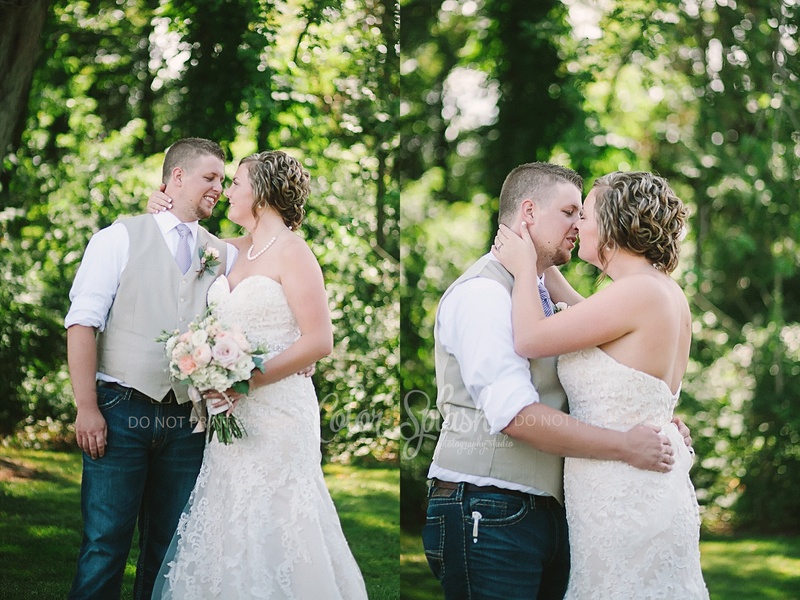 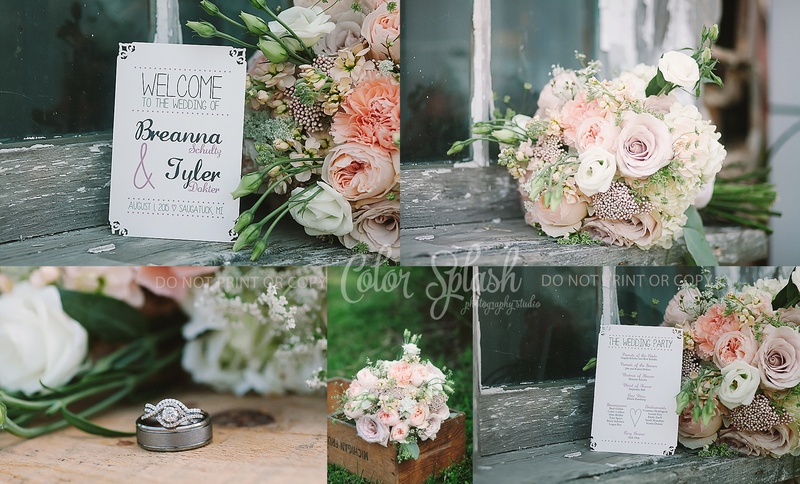 Breanna and Tyler wrote their own vows to each other, which was so heart felt and sweet. 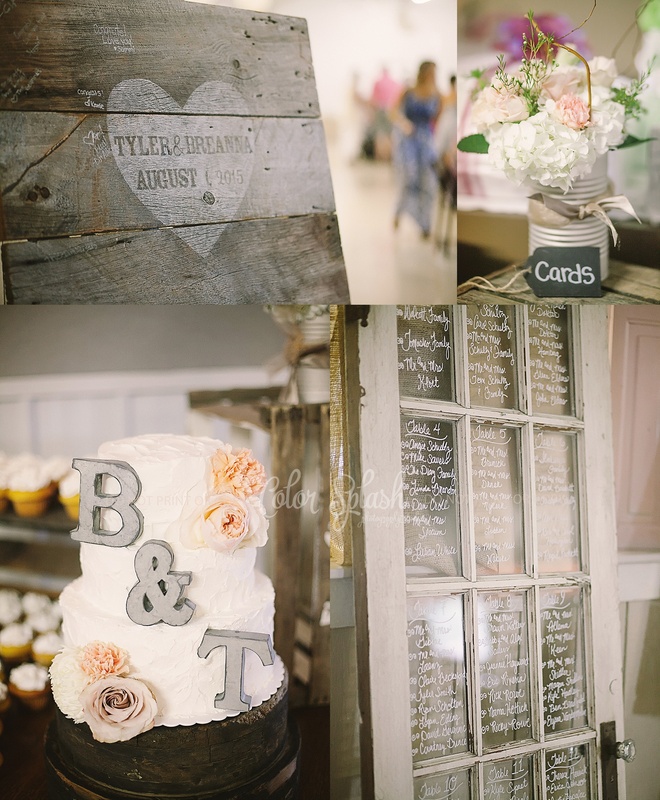 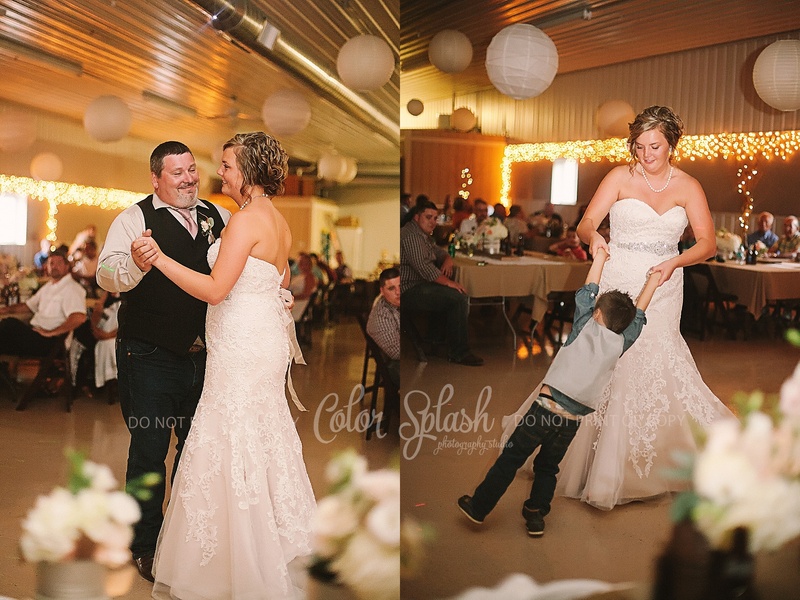 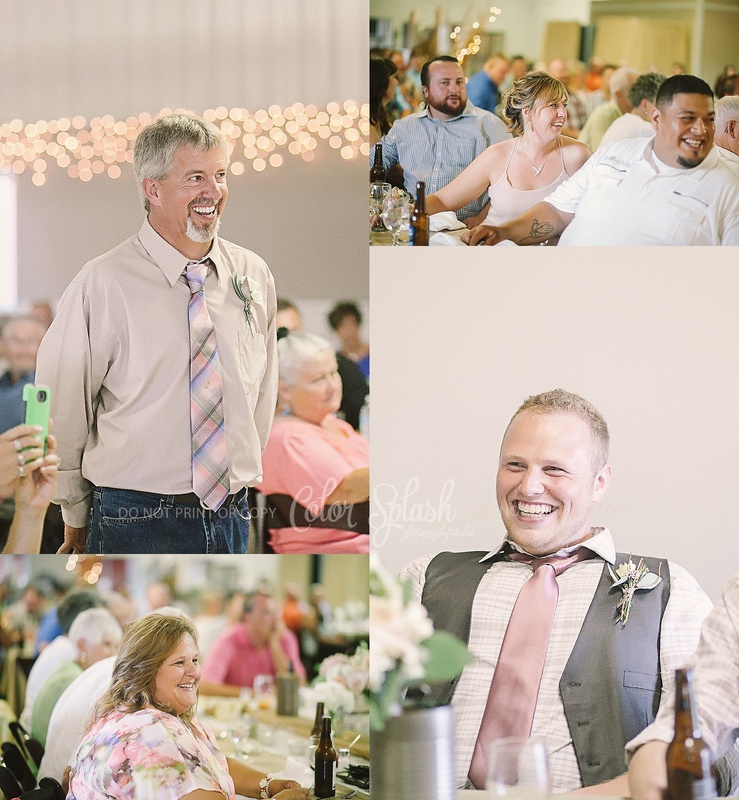 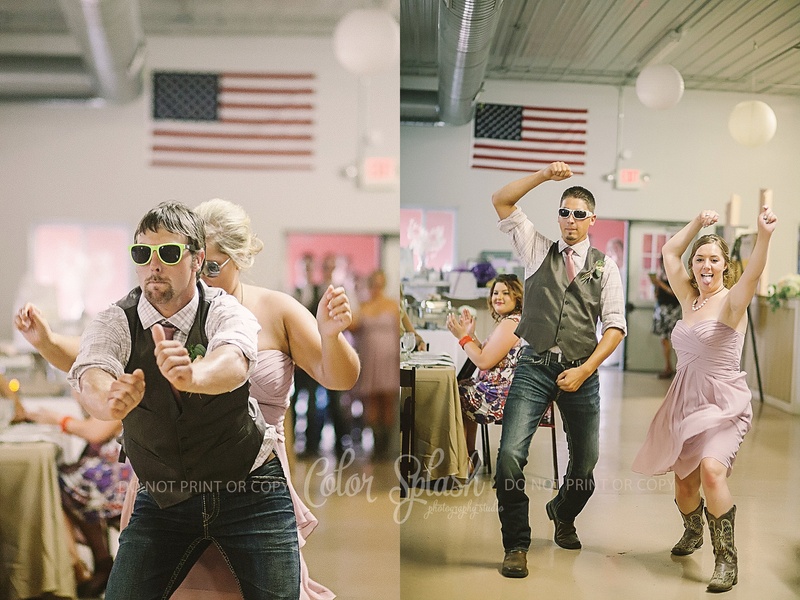 Their reception followed suit with the other events of the day, fun, light hearted and full of love. 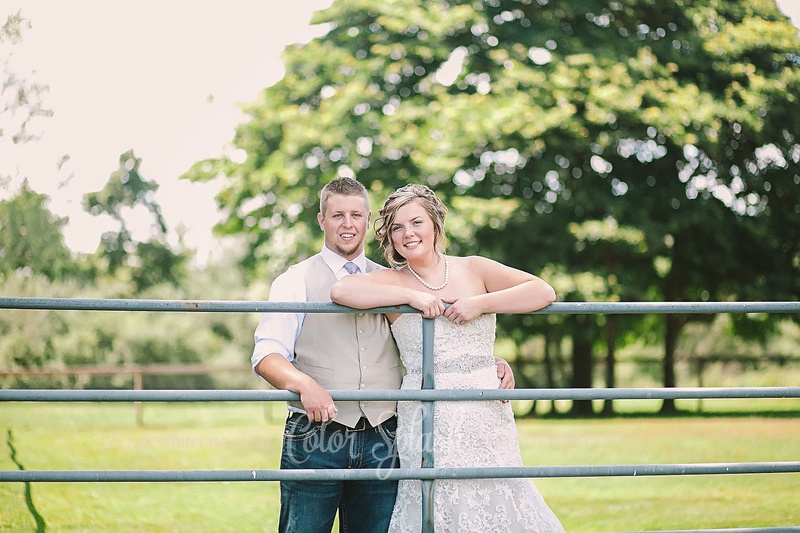 Congratulations Tyler and Breanna. 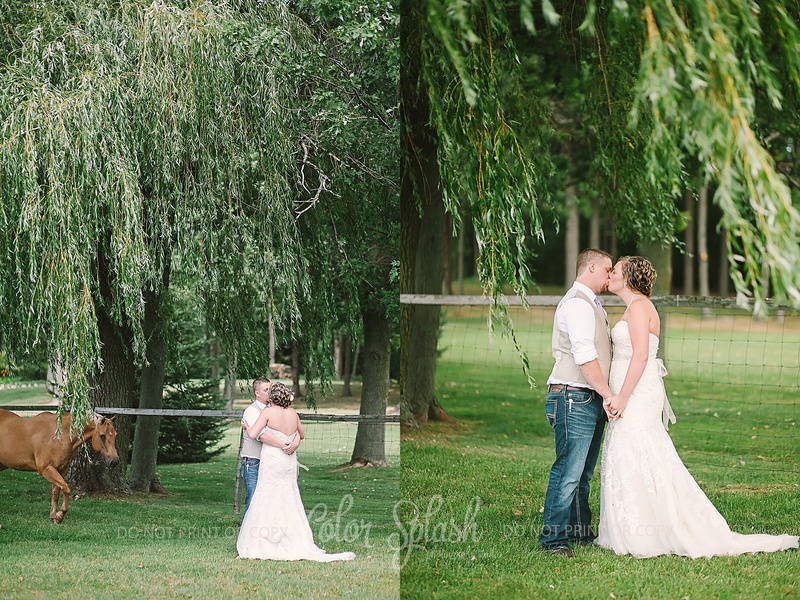 I wish you a lifetime of love and happiness.